--If you would like to make a donation to help the Nepali people, consider the American Himalayan Foundation or the Alex Lowe Charitable Foundation. --The north side of Mt. Everest and Tibet are officially closed for the rest of the climbing season. To read more, click here. --Figuring Mount Baker won’t get a big dump of snow this spring, the state Department of Transportation started plowing the road to Artist Point on Monday, April 20. The popular destination at the end of Mount Baker Highway should be open by early May, DOT officials said. To read more, click here. --Historically we haven't had to worry about lyme disease in Washington State. But that may be changing. --One of the superheroes of the Dawn Wall in Yosemite -- Kevin Jorgeson -- has a Duracel Battery TV Commercial. --A California skier wrote an excellent article entitled, The Winter of His Disbelief, about the Sierra, global warming and this year's lack of snow. To read the story, click here. --An election in the Navajo Nation may have stopped the tourist development of the upper Grand Canyon. To read about it, click here. --Visitors can now join Zion National Park rangers in an effort to promote clean air and clear skies by taking the wheel behind an electric vehicle to visit the park. Park officials from Zion and Pipe Spring National Monument joined with local elected leaders Saturday to celebrate the opening of two new level-two electric vehicle charging stations at the entrance to the Kolob Canyons Visitor Center, part of a larger project that will eventually include 10 stations located throughout Zion and Pipe Spring. To read more, click here. --Internationally renowned graffiti artists appear to be tagging the National Parks more and more. To read an article about this phenomenon, click here. --Despite a 2.8 percent drop in skier visits and a devastating drought in the west, Vail Resorts still reported modest increases in revenue compared to last year. The latest season metrics compared this season to the previous year through April 20, 2014. 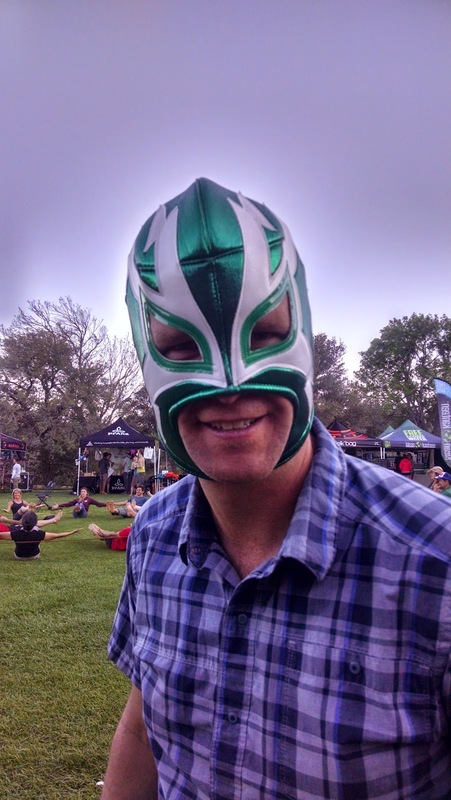 And while everyone knows that Vail Resorts' is king when it comes to breaking records andmaking money in the ski industry, this spring (especially March) was notoriously bad in many of Vail's nine mountain resorts. To read more, click here. At 20,320-feet, Denali is the tallest mountain in North America. --AAI Denali Team 1, lead by Paul Rosser and Quino Gonzalez is prepping to start their Denali climb on Sunday! Follow the action on our dispatches page. --A wolf killed by a trapper was found inside the boundaries of Denali National Park and Preserve last month, causing renewed interest among wolf advocates in banning trapping outside the park. The wolf was a 1-year-old male, a member of the East Fork Pack, which lives inside the park but spends time outside its boundaries. To read more, click here. --Outside Online has published an important article on mountain guiding. The piece is entitled, How Much (and why) Should I Tip My Guide. --Yeah, so...someone stole a whole ski lift. 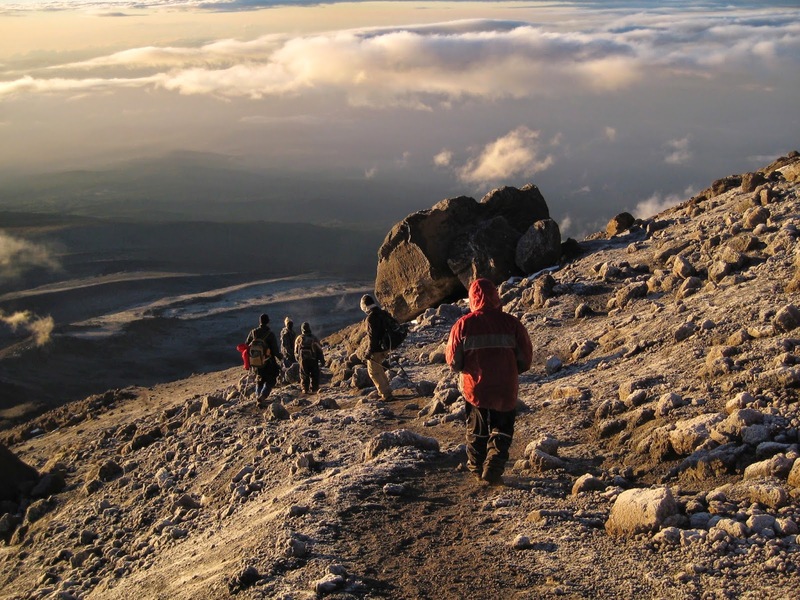 The picturesque Machame Route is considered by many to be one of the most beautiful routes on the Kilimanjaro. Most of the climb is actually trekking on well-formed trails, but there are a few sections of steeper, non-technical terrain. Our camps are at sites established by the Tanzanian National Park Service, and each camp provides outhouses and is staffed by a rescue team in case emergency evacuations are necessary. 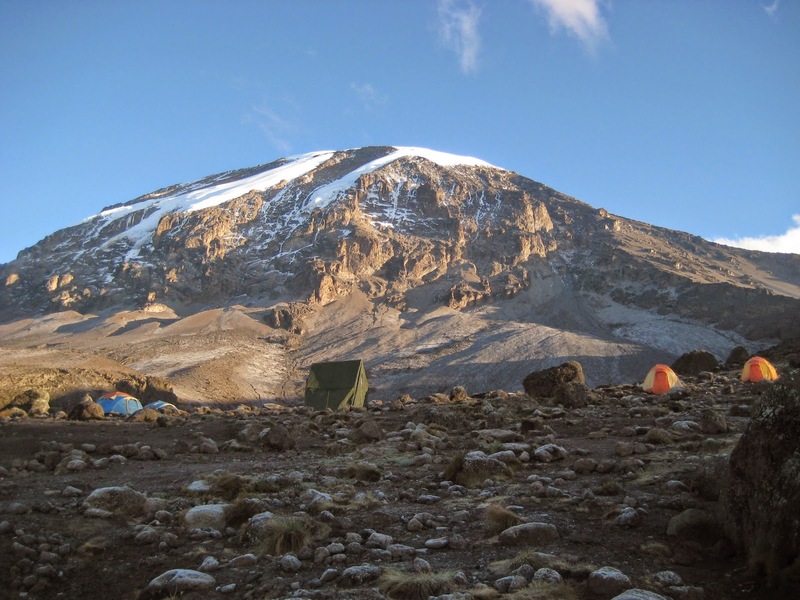 Five camps are used as we gradually move up the mountain, and their altitude (ranging from 9,843 to 15,100 feet) will help us acclimatize gradually before making our summit bid. A typical day includes three to six hours of climbing. Summit day is typically between five and eight hours, and begins just after midnight with a plan to enjoy the magnificent colors of sunrise near the summit. 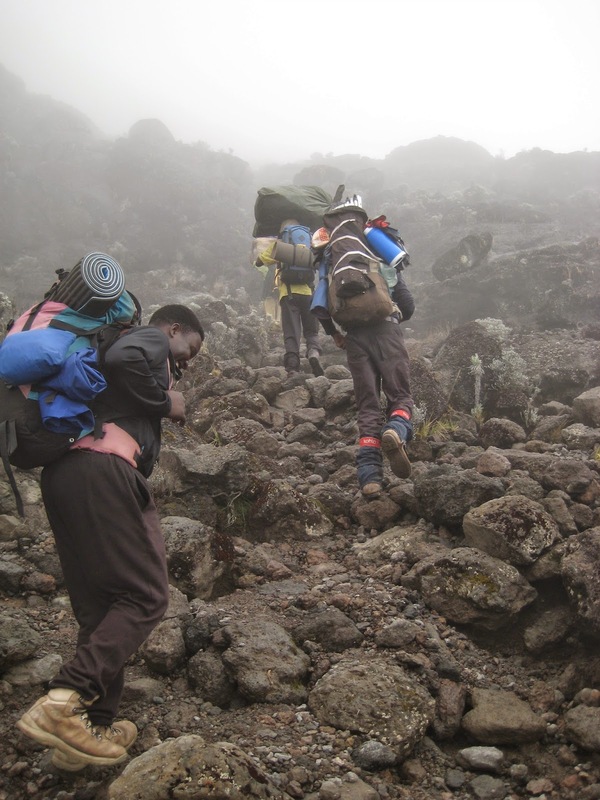 Besides its beauty, a benefit of the Machame Route is that it includes two days of "hiking high and sleeping low," a strategy proven to help with successful acclimatization. Your trip leader will pick you up upon your arrival at the Kilimanjaro International Airport. A private car will take you to Mbahe Village, located in the foothills of Mount Kilimanjaro, approximately 2 hours from the airport. Accommodations are in cottages at the beautiful Mbahe Farm House. You have the morning to rest and relax. You can enjoy delicious “homebrew” coffee, grown and roasted on the farm, and meals made with fruits and vegetables from the garden. 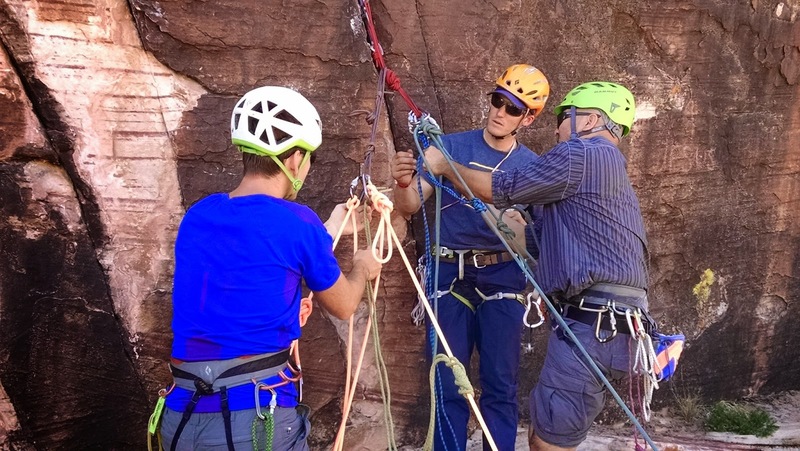 Your trip leader will provide an orientation on the climb and do an equipment check. This is also a day to take a guided tour around Mbahe Village, the Mtuy family farm, and to swim in the waterfall on farm’s land. We will all gather together for dinner. Entering the national park. Shawn Olson. 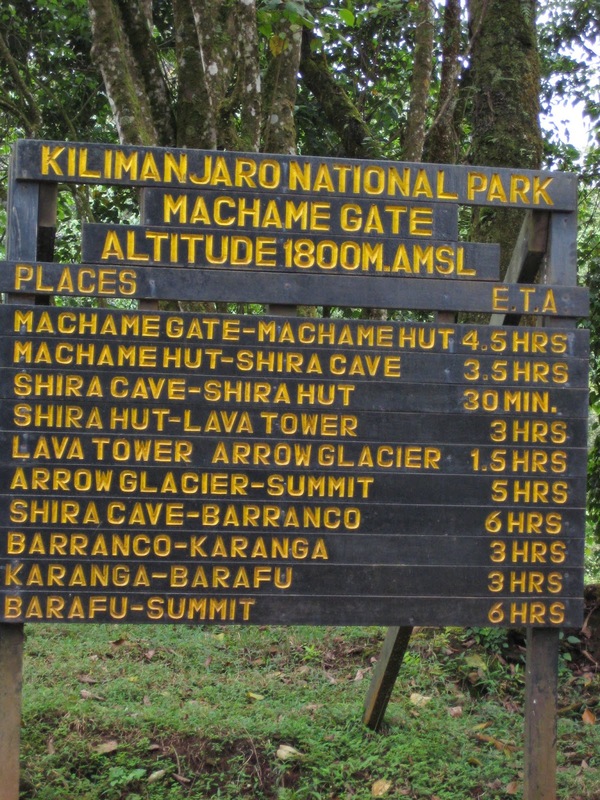 After breakfast we will drive to the Machame Gate, where you will meet your other guides and mountain crew and enter the Kilimanjaro National Park. We begin our climb at 6,000 feet, walking for a few hours through thick and undisturbed tropical forest. With luck, we may see the colobus monkeys that live in the forest. Quick Stats: 6.6 miles, 3950’ of elevation gain. Today is an easy paced acclimatization day. We will hike over streams, a river gorge, and moorlands. 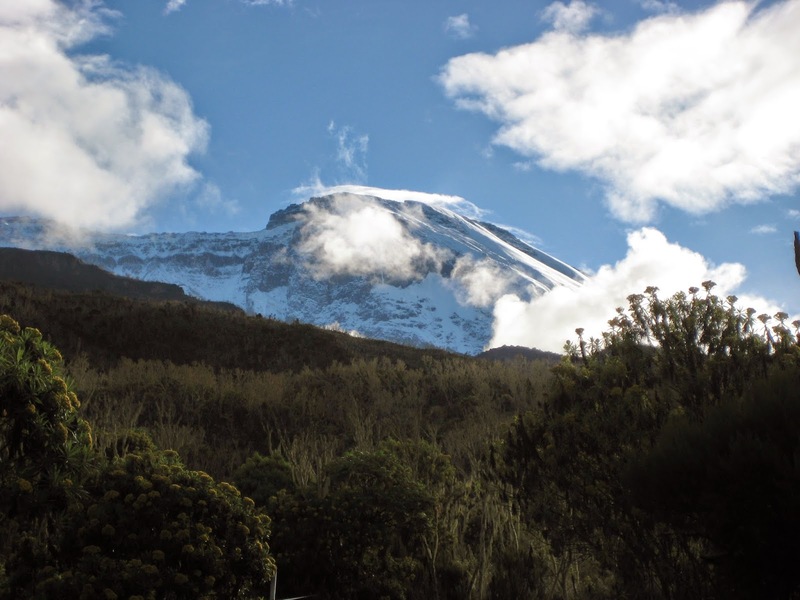 Camp is located on the Shira Plateau, providing expansive views of Kilimanjaro. We will do a conditioning hike in the afternoon on which you can enjoy clusters of giant lobelia and senecios that grow at this elevation. Quick Stats: 3.5 miles, 2670’ of elevation gain. Today is another acclimatization day as we have a mostly uphill climb of 5 hours to an elevation over 15,000 feet. We will pass through the alpine moorland zone where plants are extremely hardy and consist of lichens, grasses, and heather, to reach Kilimanjaro’s alpine desert zone. You will have a spectacular view of the steep Western Breach. After an early afternoon rest we will take a two-hour round-trip adventure climb up the Lava Tower. 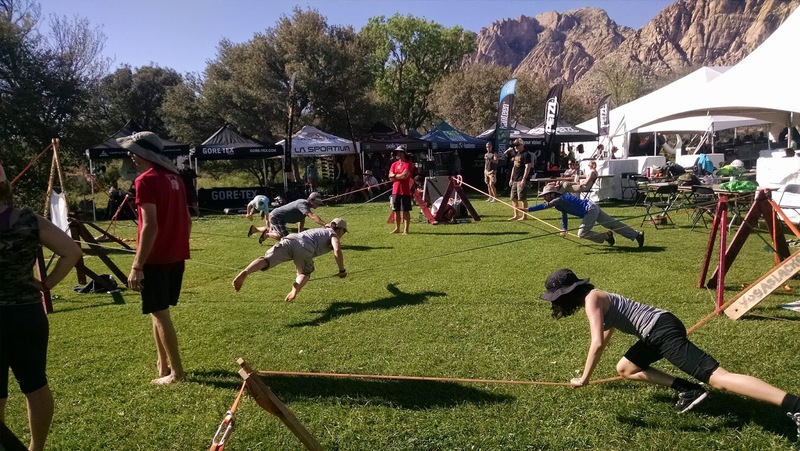 This scramble is fun and will help prepare you for the climb tomorrow. Quick Stats: 4.4 miles, 2690’ of elevation gain. some receding glaciers. Shawn Olson. Today we will climb the Great Barranco rock wall - not too steep but challenging for some – which our guides make comfortable and accessible for everyone. We will go pole pole (meaning “slowly” in Kiswahili). You will be able to see the breathtaking Heim Glacier. We descend into the Karanga Valley and then to our camp on a ridge above the valley, where you will be able to enjoy a rest and have refreshing a sponge bath with warm water. Quick Stats: 5.9 miles, 1980’ of elevation loss. backdrop for our camps. Shawn Olson. As we begin trekking today the trail turns steadily uphill. The temperature will grow colder and the landscape more sparse as we work our way to Barafu Camp. Barafu means “ice” in Kiswahili. Hiking time is 4 to 5 hours. The Camp is set on an exposed ridge and is the staging point for our push to the summit. After an early dinner we will go to bed for some sleep. At midnight, hopefully under the stars, we will begin the final ascent. We are going to go pole pole and drink plenty of water and tea along the way, refueling with small snacks regularly to keep our energy high and to help us enjoy this final climb to the summit. Quick Stats: 2.4 miles, 2110’ of elevation gain. The roof of Africa. AAI Collection. Our last day is another descent of 7,000 feet with 4 to 5 hours of hiking to the trailhead at Mweka Gate. The trail is steep in places and may be slippery if wet; again we recommend that you use trekking poles. At the gate we will temporarily say goodbye to our mountain crew and enjoy a picnic lunch. The trip leaders will take you back to Arusha for a hot shower and a celebration dinner with the whole team. Depart Tanzania after dinner or remain for rest day or remain for safari. Quick Stats: 8.5 miles, 7150’ of elevation loss. Descending after a successful summit bid. Today is a rest and relaxation day at the farmhouse. Optional activities include light hiking, swimming, exploring the village and local school, visiting with the neighbors, drumming, tasting homemade banana beer, and shopping in Moshi Town. For those returning home, you will be transferred to the Kilimanjaro International Airport to catch your flight (most people fly out in the evening on KLM to Amsterdam). Those continuing on safari will pack lightly for the continuation of your African adventure tomorrow. If you are continuing on safari, you will depart in the morning for your first day of safari. 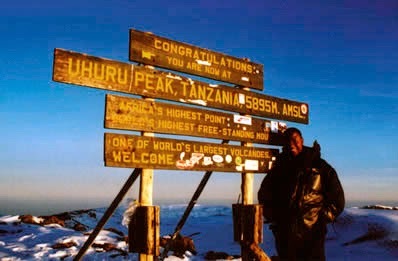 Kilimanjaro is a great way to enter into the world of high altitude trekking and climbing. It also serves as the first mountain for many climbers interested in pursuing the Seven Summits. Combine Kilimanjaro with a climb on Elbrus or Aconcagua in the same year and you'll receive a discount! 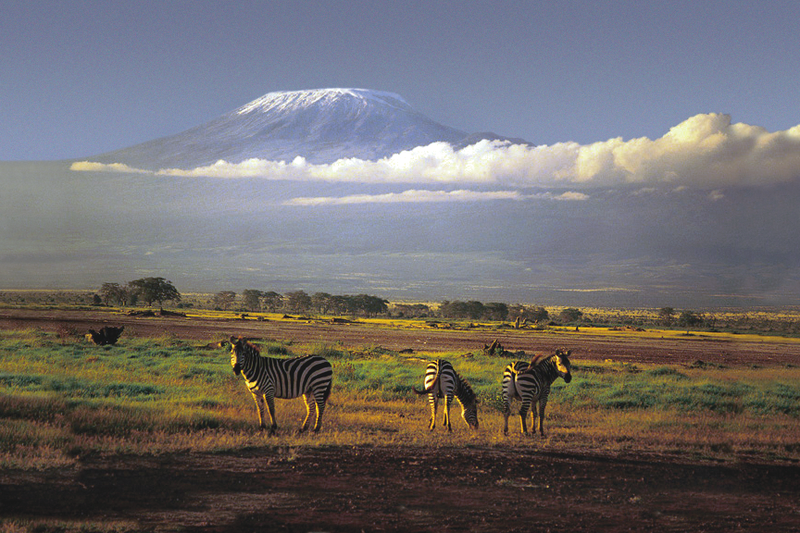 For the upcoming climbing season in Africa, you can join trips departing every month from June to October. 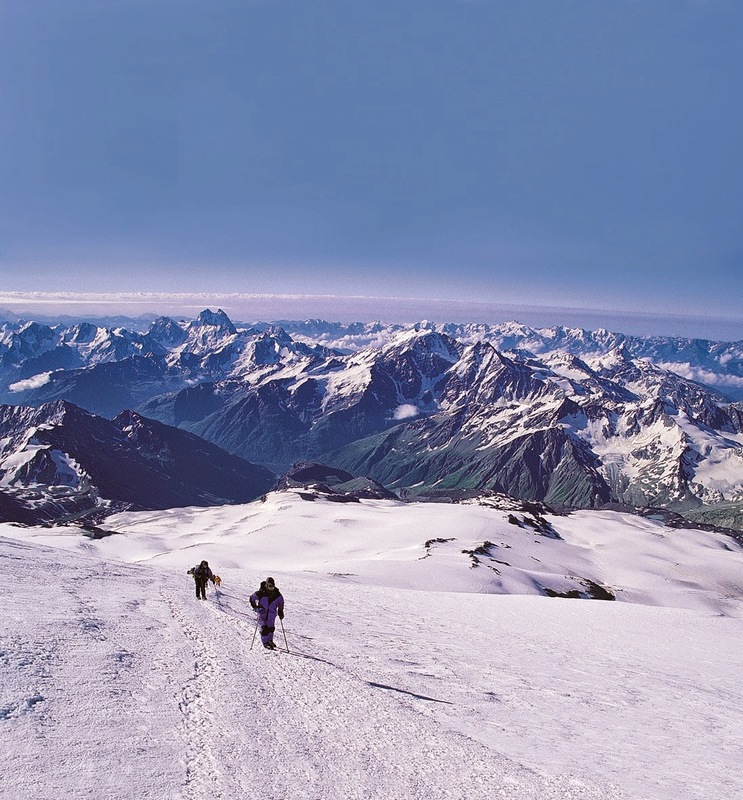 Climbing the upper slopes of Mount Elbrus, Russia. 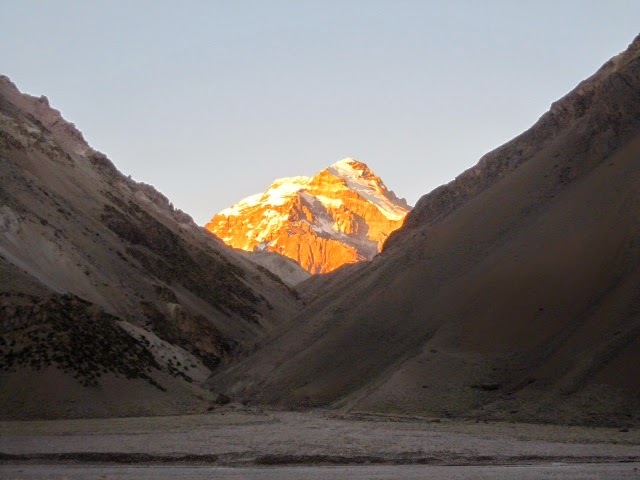 Morning sunlight on Aconcagua, Argentina. 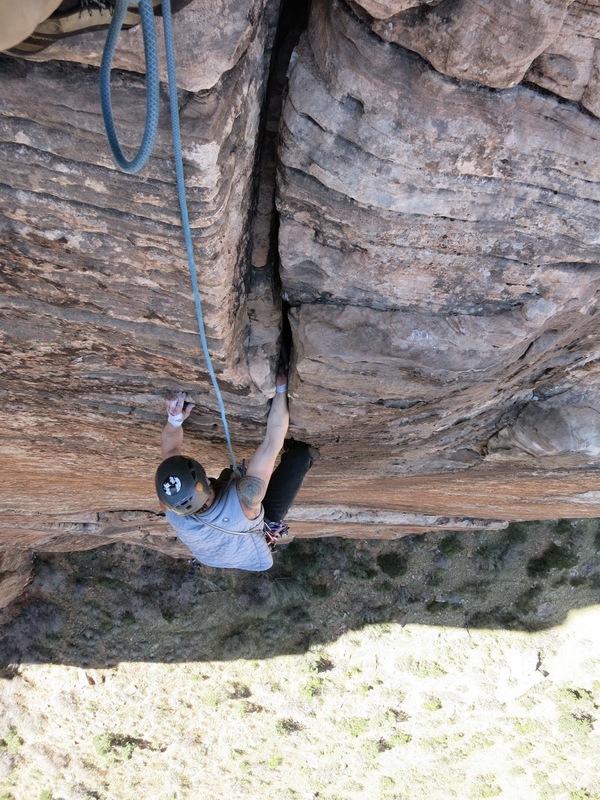 Epic TV has put together a group 4 world class climbers, Tommy Caldwell, Hazel Findlay, Alexander Megos, and Emily Harrington, each with their own strengths and specialties. But then what happens when you put a bigwall climber in an undeveloped boulder field? Or a hard sport climber in the alpine? 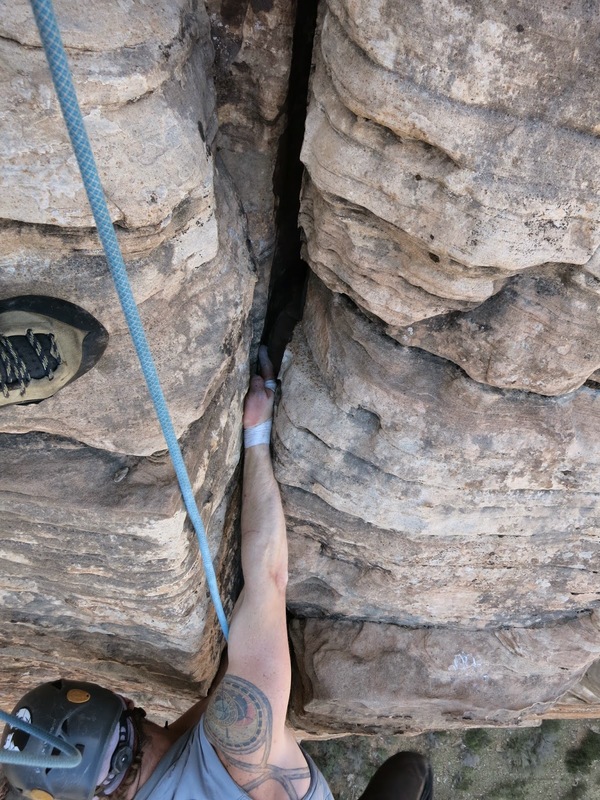 Pamela Shanti Pack just established a new 5.13 off-width in Indian Creek that she named "American Horror Story." Here's a video from last fall where she talks about her love of off-width climbing and for putting up first ascents. You can now watch the full version of Alex Honnold's and Hazel Findlay's feature "African Fusion" on Vimeo on demand. The duo traveled to Namibia and various locations in South Africa, climbing everything from red desert towers to jagged sea-side cliffs. So some of you may be aware from previous posts that a small doll made by Bellingham Girl Scouts making her way up to Alaska this week. 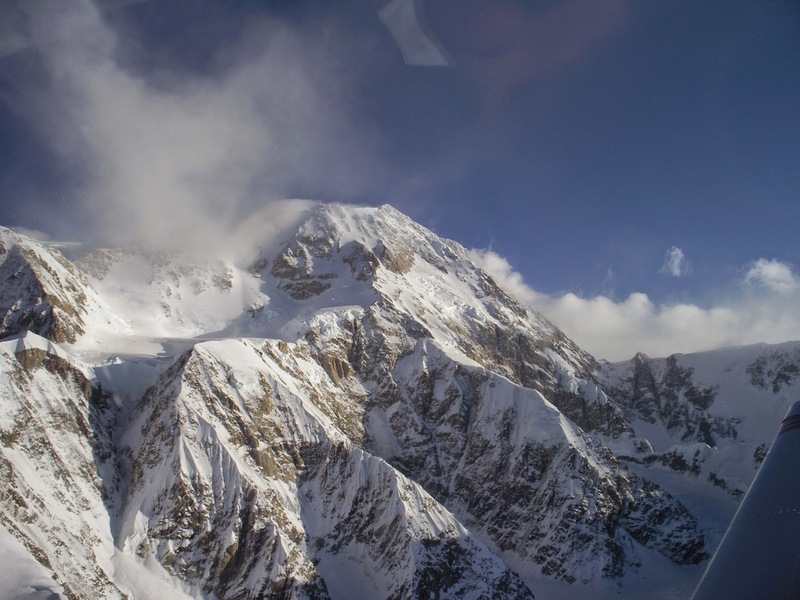 Peggy McKinley is going to climb Denali with AAI Team 1, lead by AAI Gudie Paul Rosser. Peggy had some adventures on her trip up. We can't wait to see what the guides put Peggy through next! We have sent a very special team member to Alaska with our Talkeetna team. 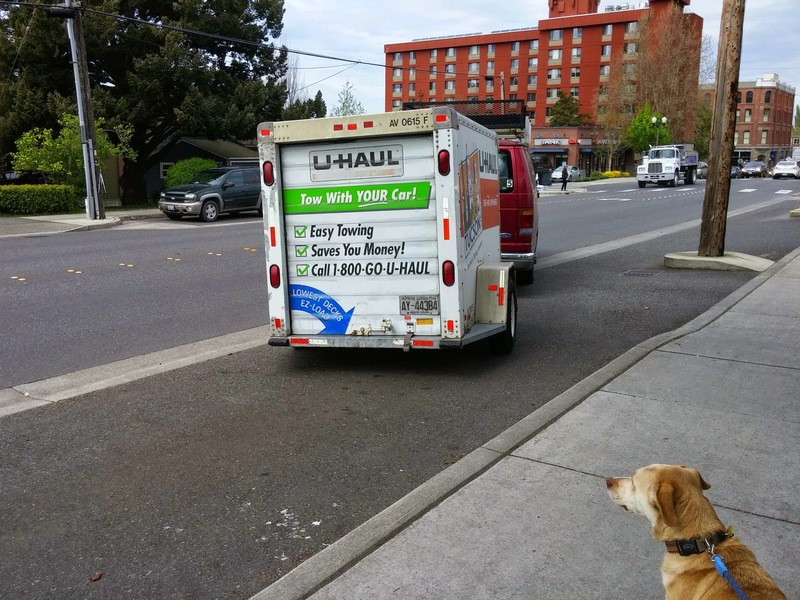 Peggy McKinley left with the AAI van full of Denali gear yesterday afternoon. Peggy is a girl scout. 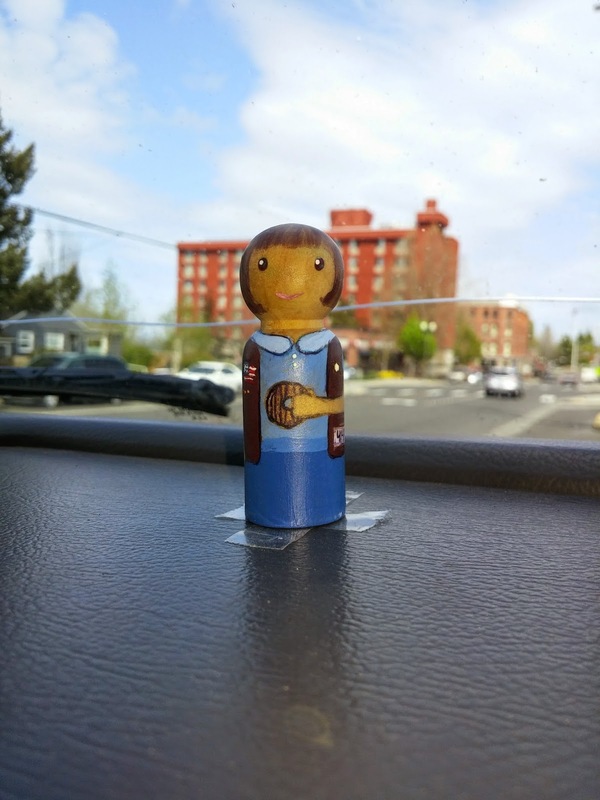 She was made by girl scout troop 44373 in Bellingham and will travel with her cookies from Bellingham to Talkeetna, AK by van. Then from there by plane to Kahiltna Base Camp on Denali. And then she will continue up to the top of the highest point in North America. The participants on the trip will partake in the famous girl scout cookies while climbing the mountain. 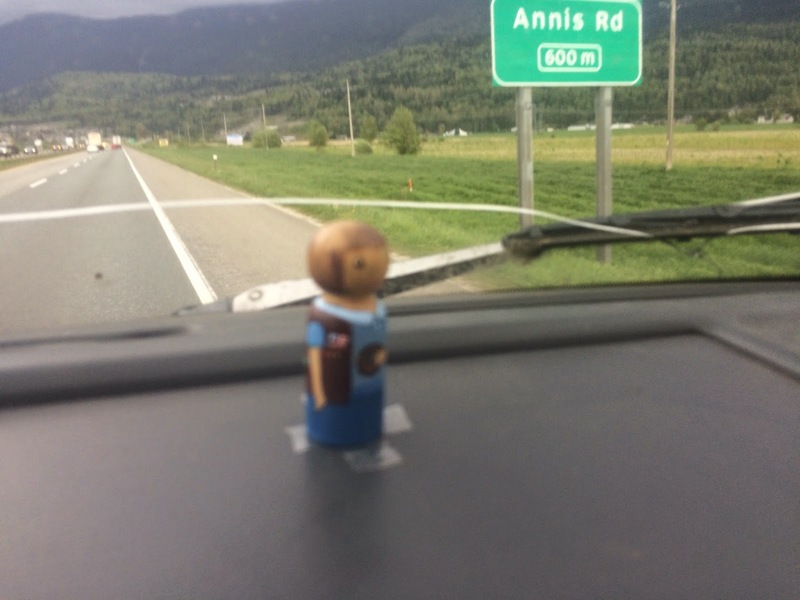 Peggy is mounted on the dashboard of the AAI Van. 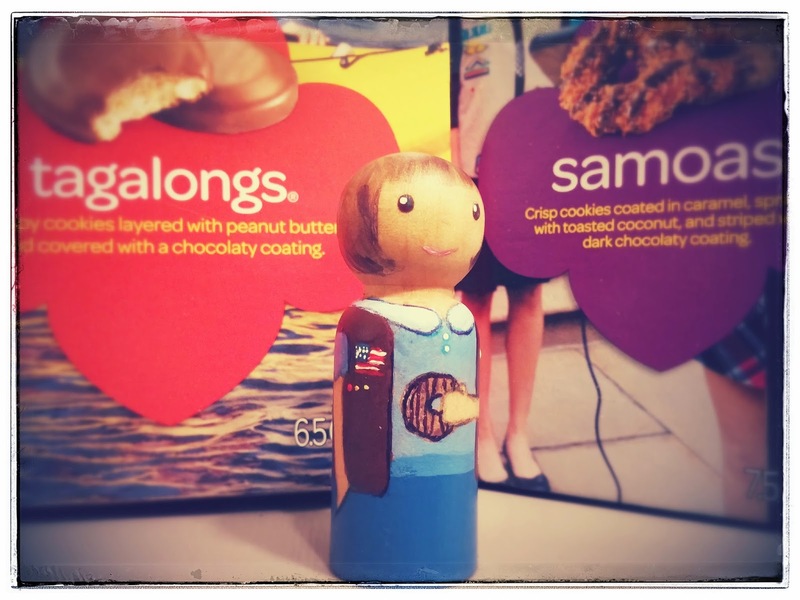 Peggy is a very happy girl scout and you can follow her adventures here on this blog and on other social media with the hashtag: #PeggyMcKinley. Prior to even leaving, locals suggested they should not attempt their journey. They were coming to the end of the brief summer, and the fjords around Baffin Island were still choked with ice. But Paul McSorely, Tony Richardson, Joshua Lavigne and Crosby Johnston were still drawn to unclimbed 1,300 m North Face of Beluga Spire. No-handed climbing? Sure, it may be a bit on the pointless side. But as Johnny Dawes points out, some people feel that way about climbing in general. But after you watch Johnny dance up this gritstone problem, you might think differently. If nothing else, it will help improve your footwork! Since winter decided to come back (or in some cases, arrive) last weekend here in the Cascades, I thought I'd throw in a ski vid for you this weekend. Here's a season edit from Sam Schwartz as he backflipped through the 2014 - 2015 winter. 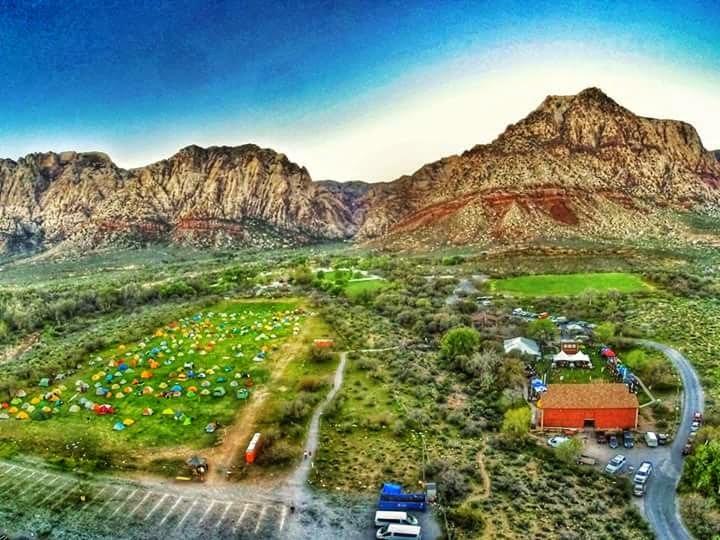 This year was the best Red Rock Rendezvous ever! I say that every year. And last year in particular was crazy fun. But beyond all expectations, this year's event managed to beat out last years. The athletes and guides were awesome. There wasn't a wisp of wind. It was 80-degrees every day. There were awesome games at the sponsor booths and parties. There was a spectacular dyno comp. There were great performances by bands and even a crazy karaoke guy. Check out the photo essay below, and click on photos to enlarge. A group of excited participants on a bus headed out to the crags. 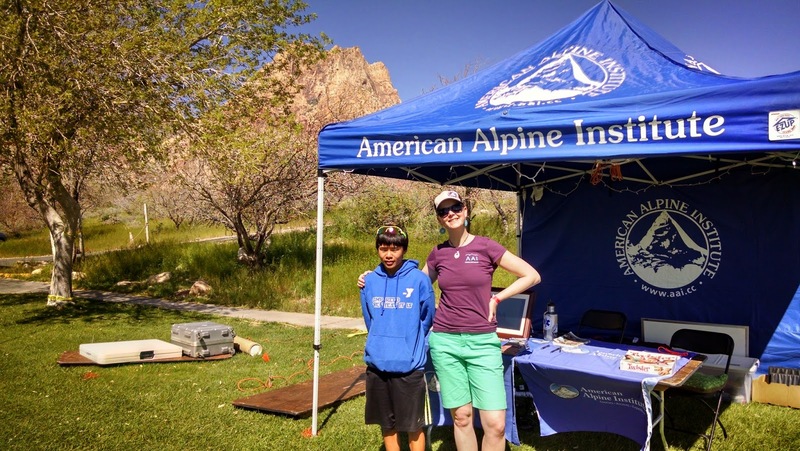 Sameer and AAI Program Coordinator Lily Hickenbottom at the AAI Booth. 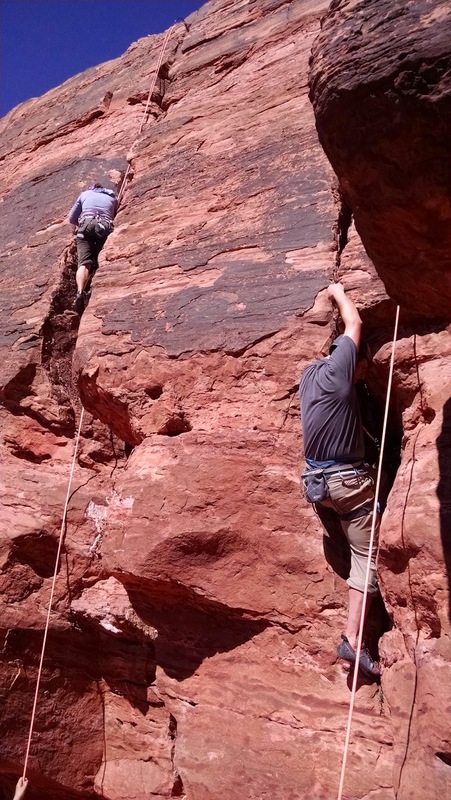 Climbers enjoying the desert sandstone at a beginner clinic. 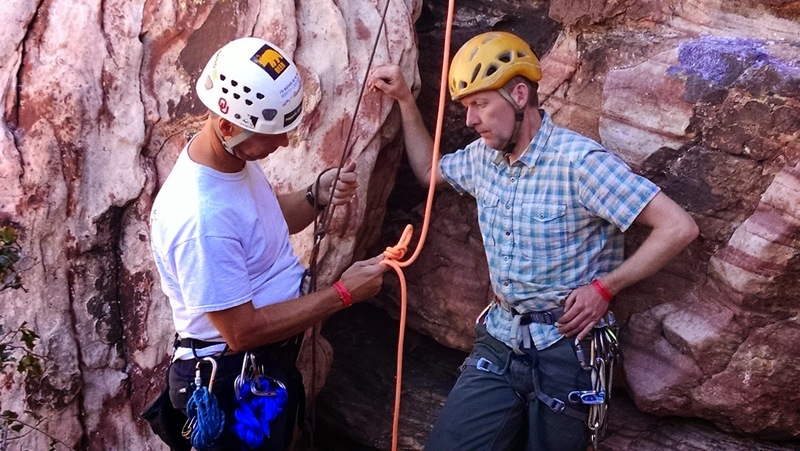 AAI Guide Alasdair Turner teaches rock rescue. AAI Guide Chad Cochran teaches rescue techniques. A participant works through his rescue skills. 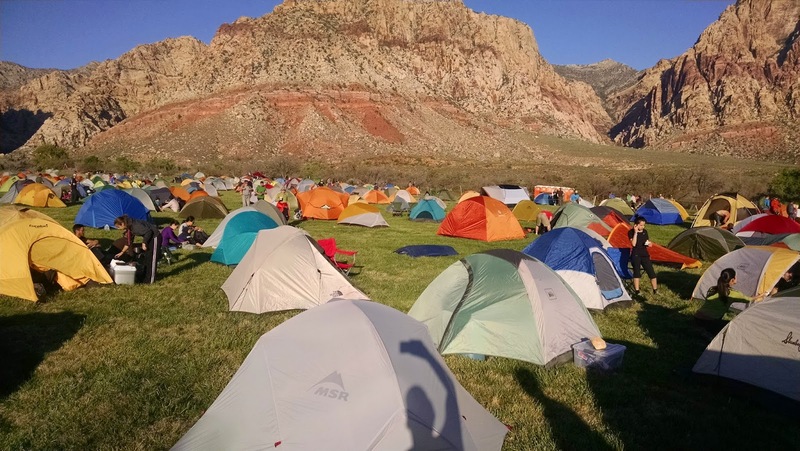 A tent city in front of the Red Rock Escarpment. 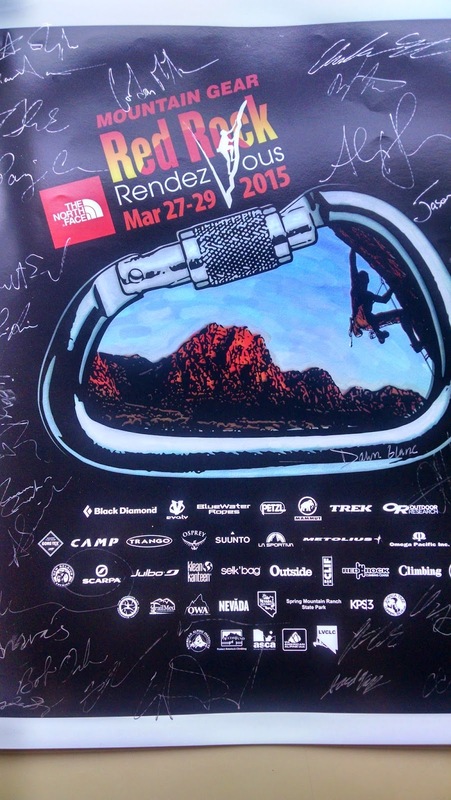 The Red Rock Rendezvous poster signed by the athletes and guides. 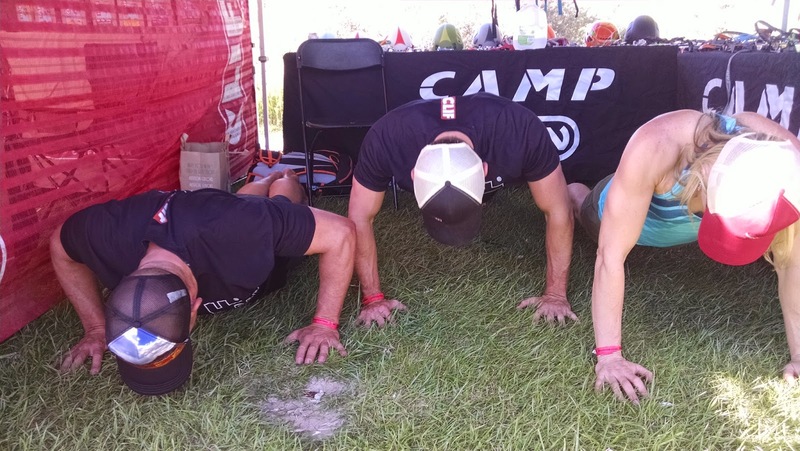 Just another pushup contest. They were everywhere this year. 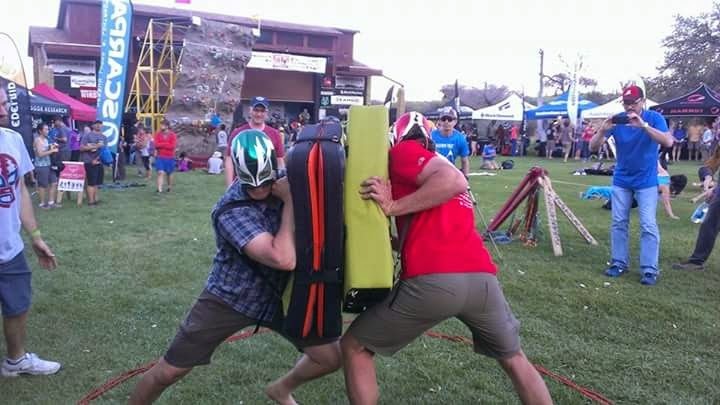 Yours truly getting ready to do battle with AAI Guide Tad McCrea in a pseudo sumo matchup. Doyle Wheeler, the social media manager at the event, brought a drone and got this picture. Andrew Yasso, and Angela Seidling. Here's a comprehensive photo album from the event, shot by Eric Odenthal. He is a waaaayyyy beter photographer than I am and his photo album really gives you a great taste of the event! And here is a video from my favorite part of the whole event this year, a crazy Karaoke guy brought in by New Belgium Brewery. Right now we have a unique opportunity to protect 1.5 million acres of land in the Mountains to Sound Greenway — but to make it happen, Congress needs to hear from people like you who love this region. 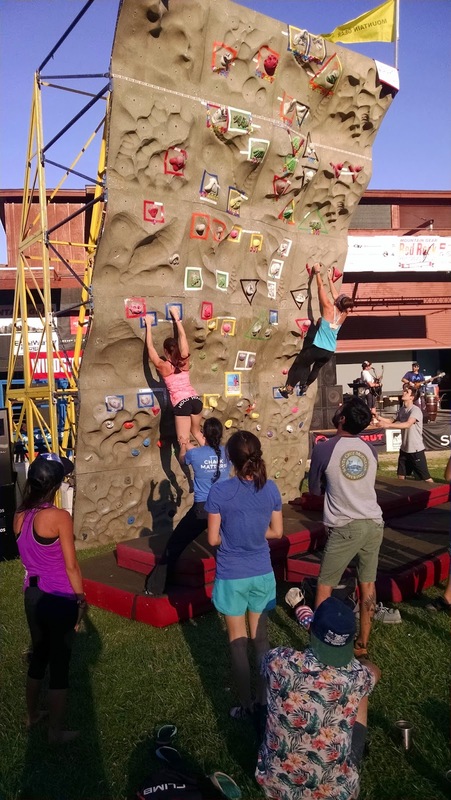 Extending from the Seattle waterfront to Ellensburg, the Greenway is an outdoor recreation paradise with 1,600 miles of trails, the stunning Cascade Crest, excellent whitewater runs, backcountry skiing and snowshoeing, rock climbing routes and mountain biking. And right now, there’s an opportunity to have the Greenway designated as a National Heritage Area by introducing a bill in the next month, which would protect this phenomenal landscape and enhance our ability to climb there. Because there's power in numbers, we’re partnering with other outdoor recreation groups in Washington to encourage people who love the outdoors to sign this petition. As a climber who lives in this region, your voice is incredibly powerful with our decision-makers in Washington, DC. Will you sign our petition calling on Congress to pass a bill designating the Mountains to Sound Greenway as a National Heritage Area? 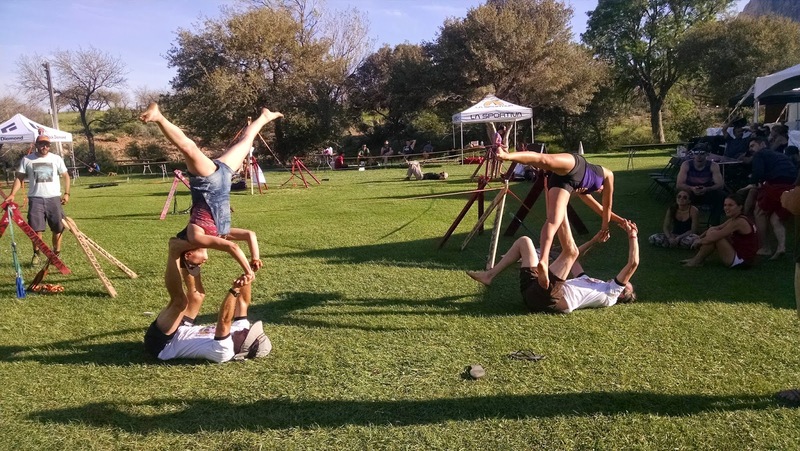 Our goal is to gather 1,000 petition signatures from the human-powered recreation community by May 15. Please sign the petition today. Last Congress, a bill to designate the Mountains to Sound Greenway as a National Heritage Area was introduced, but it never made it to a vote before the full Congress. Please take one minute to sign the petition right now. P.S. 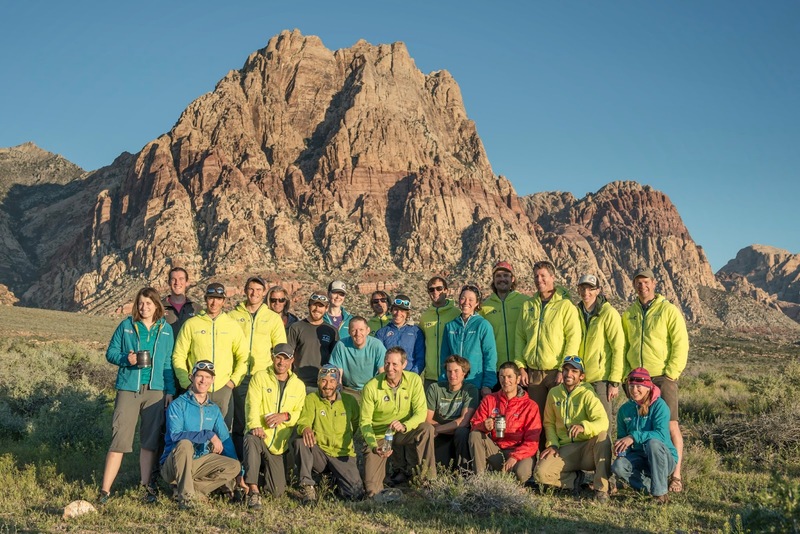 It took 20 years of collaboration and conservation work to create the Mountains to Sound Greenway with stunning wilderness, working farms and forests, prime wildlife habitat and world-class outdoor recreation. Right now, we can protect it and enhance the outdoor experience for generations to come. Add your name to the petition to designate the Mountains to Sound Greenway as a National Heritage Area today. Crack climbing is the one of the oldest forms of classical climbing, and in some ways a lost art. 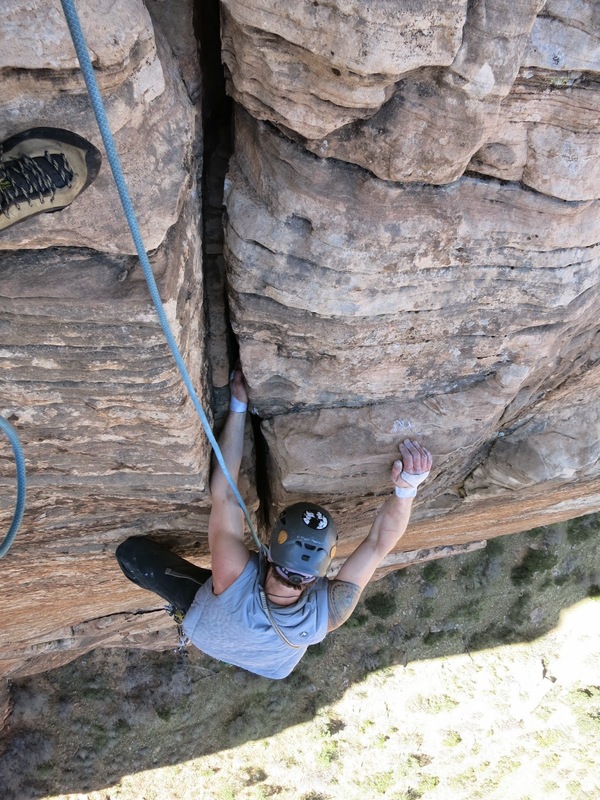 With the influx of climbing gyms and the popularity of sport climbing, original forms of climbing, like crack climbing, fall by the wayside a bit. Traditional climbing, where the climber places removable protection as he climbs, requires cracks to provide protection. 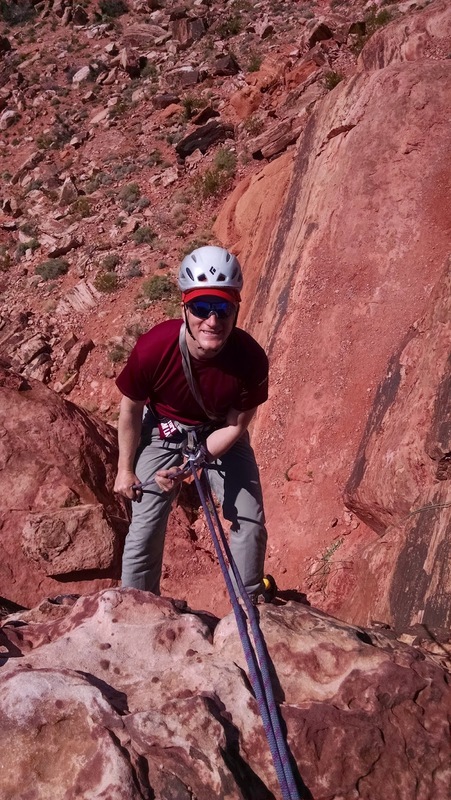 Knowing how to confidently jam cracks is the first step in entering the world of trad climbing. Knowing basic crack climbing technique can also translate into other disciplines of climbing- I've been on sport climbs and boulders where knowing how to jam has meant being able to cop a rest, or has allowed me to avoid difficult gaston or lie-back moves. Today, we will talk about different basic ways to jam hands and feet in cracks, and some ways to start practicing safely. If sport climbing is gymnastics, then crack climbing is wrestling. The over-arching goal is to find some combination of body parts that fit into the crack, and when flexed, will allow vertical mobility. 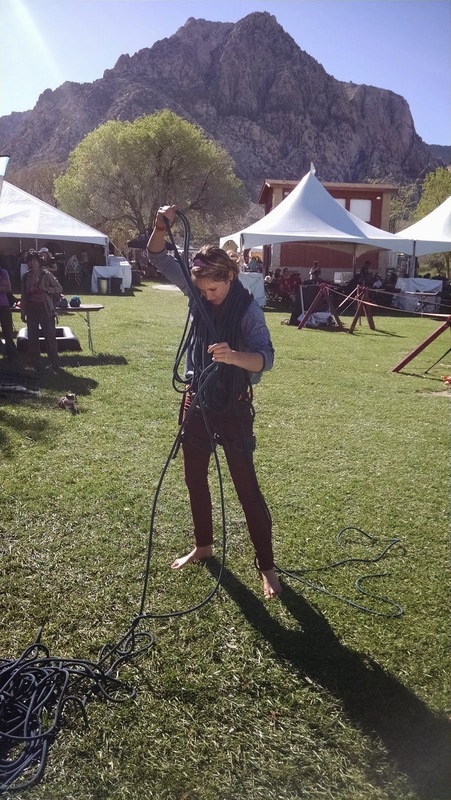 It's not quite as barbaric as it sounds, and once you learn proper technique you will be able to utilize a variety of positions that are as good or better than any jug. The best size crack to start on is one that is a cupped-hand size, which can be anywhere from 3"-.75"wide depending on your hand size. It seems like alot of climbing gyms have cracks of a couple different sizes, but if you live somewhere blessed with splitters and can get a rope up on one to learn, even better! You will want to tape your hands at first. This is the first jam to learn. Not only is this one of the most secure feeling, but it is usually also a pretty decent size for your feet. To perform a cupped hand jam, put your hand in the crack thumbs up and tuck your thumb in towards your palm. Keep your fingers tight together and press your fingers against one wall of the crack while the the back of your knuckles and hand press against the opposing wall. Try to flex your hand to push against the walls of the crack. Test it out by trying to hang on it with a straight arm. 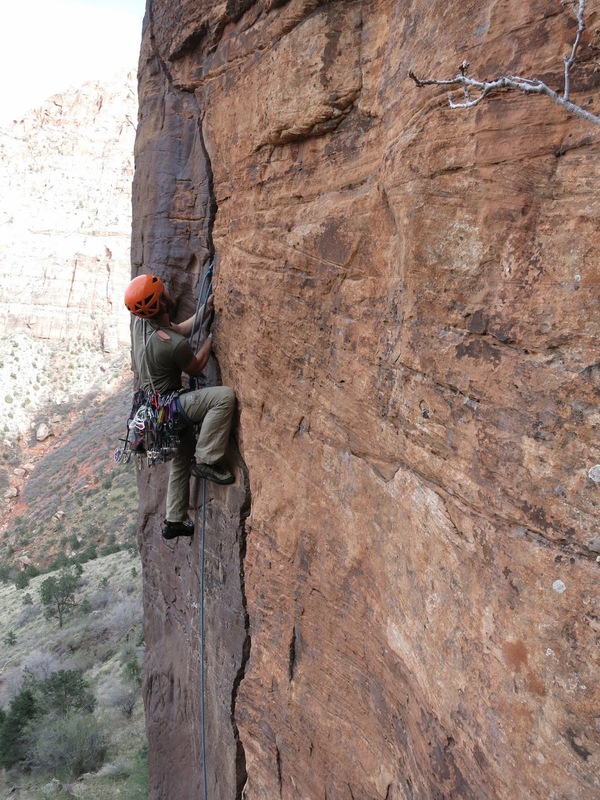 Just as in face climbing, with crack climbing restful positions are usually found on either fully extended or "locked off" (fully flexed) positions. The author demonstrates a thumbs down resting position. To foot jam, insert your foot sideways into the crack by bending your knee and hip outwards. Then, transfer your weight onto the foot and focus on trying to rotate your foot back to a standing (flat footed) position. Focus on dropping your heel as you stand on the jammed foot to give you extra purchase in the crack. Foot jamming has a bit of a painful learning curve. The basic idea of camming your foot into a crack then standing on it just sounds heinous. It certainly takes some getting used to, and as you experiment with different sizes you will notice that the foot jam becomes more painful and less reliable, while some sizes like the hand jam to fist jam size are actually pretty comfortable. 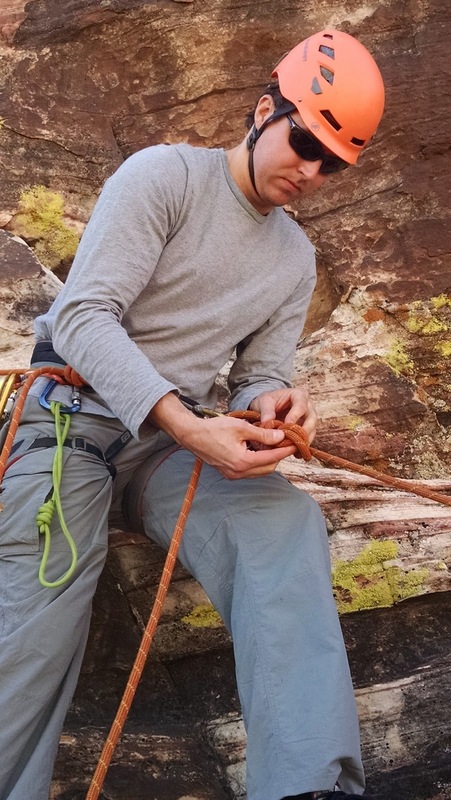 I would definitely recommend wearing very comfortable climbing shoes such as the 5.10 Anasazi slipper or the Sportiva Mythos- tight fitting shoes with downturned toes definitely make foot jamming much less comfortable. Go up. Seriously! 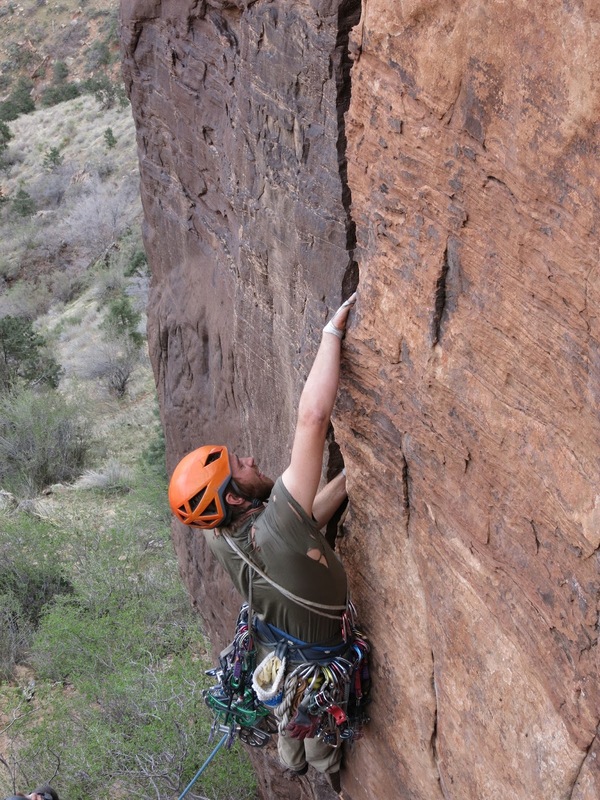 Until you start to get into grades above 5.9, most straight-in crack climbing consists of simply following the crack. I recommend starting in a gym or on a top-rope to get the motions down. My strategy with hand-size cracks is to make my legs and feet do the majority of the work. 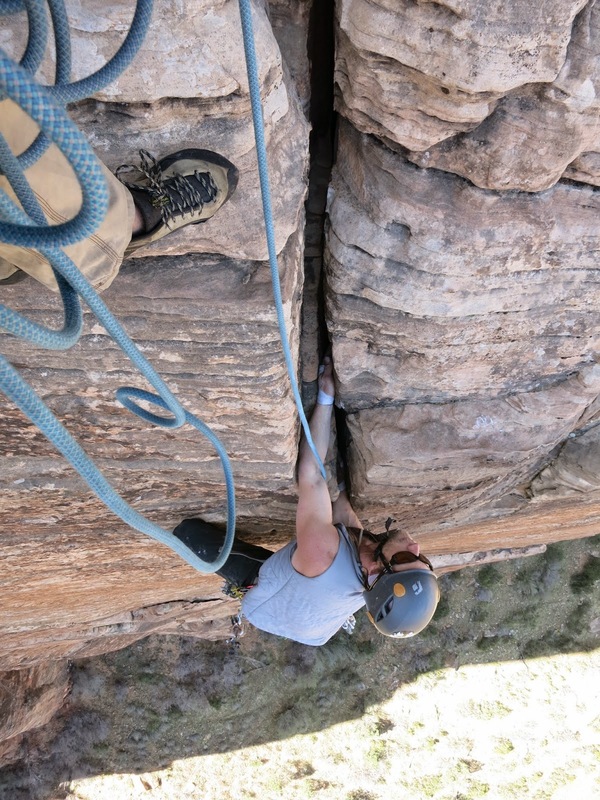 Often times crack climbing is a race against the pump clock, so I try to keep moving and whenever possible I try to make big moves, with each foot being inserted into the crack at mid-thigh height or above. I try to stand all the way up on each foot before I move my next hand. I look for constrictions in the crack that will allow me to "lock" my hand behind it - these will provide the best rests. Most of all, practice as much as you can in a safe setting- it gets easier, less painful, and unlocks a whole new world of climbing potential. Jeff Lowe was one of the greatest alpine climbers to come out of North America. His bold lines and first ascents sky-rocketed him into climbing spotlight, but that was quickly followed up by a debilitating downfall. "Metanoia" is the story of Jeff's will and determination, both in the alpine realm and in his battle against a much more challenging objective. This week, we've got a special April Fools Edition of the Weekend Warrior. There were a bunch of great April Fools gags out there on Wednesday, and here a just a few to give you a laugh! First up is OR's newest clothing option, and they're bringing back an old classic! The snowboarding folks at Rusty Toothbrush fast-forwarded to the future to give us an idea of what shredding will be like in the years to come. Here's Salomon's newest release - the Mountain Blade "what could be the single greatest innovation in ski technology in the last 20 years!"